In 1961, archaeologists Nicolae Vlassa started working on a site near the village of Tărtăria, an area renowned for its many ceramic artefacts. Despite a hesitant start, the work of the archaeological team eventually paid off when they unearthed three clay tablets that further gathered scientists from around the world. The fact that a good portion of historic events was about to change its course, made the scientific world look at this discovery with doubt, the loam tablets being maybe too fragile to hold this immense burden. Other than the tablets, archaeologists also uncovered 26 clay and stone statues, a wrist made of clams and a pile of human remains. However, the three tablets quickly became the center of attention. Two of them had a rectangular shape while the other was round. Symbols were embedded on one side, and the rectangular items possessed a small hole which according to researchers was not just a simple coincidence. Two of these plates were covered with runes depicting old texts dating back at least one millennia before the tablets found at Djemer-Nasr, Kia and Uruk in Sumer. The artefacts unearthed at Tărtăria lead the researchers into believing that they belonged to a very influential man at that time, a shaman or maybe a priest. What seemed to be one of the greatest discoveries of the Eastern world, but also for the rest of Europe, became the heated subject of debate that split the scientific world in two camps: those who admitted the great importance of these clay tablets and those who thought them meaningless. Most archaeologists and historians put the artefacts around 5000 BC, pushing back the elaboration of writing with more than a millennia than it was first believed, and also changed the birthing place of writing from Mesopotamia to the Danubian Basin. So, is it possible that a prosperous and powerful civilization existed one millennia before the greatest powers of the world – Sumer and Egypt? The loam plates are embedded with the oldest text known by modern science so far. Some archaeologists tried to debunk this myth claiming that the Tartaria tablets appeared because of the Sumerian influence, because the symbols present on the tablets strongly resemble those used by the Sumerians when it came to writing. Because of this, it was assumed that the symbols were borrowed from them, and the ancient dwellers used them without knowing their meaning. But scientists are contradicted by history itself, because around 5500 BC, the Sumerian writing did not exist or if it did, there are no accounts to support these claims until the present day. Historians were once again puzzled when they tried to translate the tablets based on Sumerian dialect, as they found the name ‘Saue,’ the equivalent of god Usmu known to the Sumerian culture. 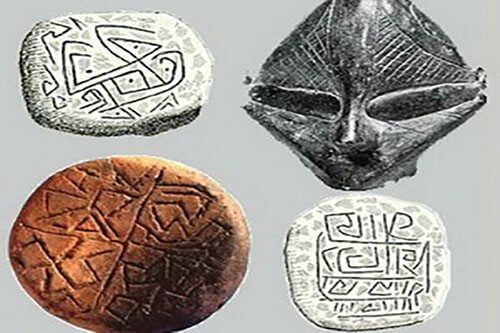 Experts from the Russian Academy of Science concluded after they had analyzed the intriguing artefacts that they represent a fragment of a largely spread writing system found in the area where they were discovered. According to them, the text from one tablet refers to six ancient totems which coincide with a manuscript from the Sumerian city of Djemdet-Nastra. 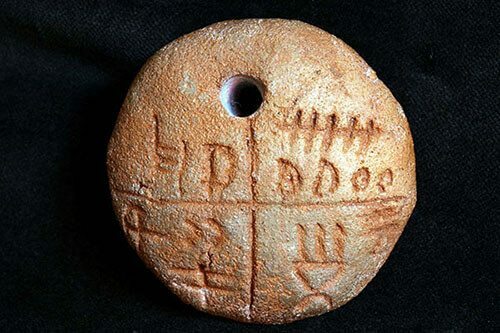 If read clockwise, the following proto-Sumerian text can be deciphered: ‘NUN.KA.S.UGULA.PL.IDIM.KARA.I,’ meaning ‘Forty years of ruling for the lips of god Saue the oldest after ritual had burned. This is the tenth.’ The meaning of this is still under debate, leaving room for plenty of speculations since the scientific world couldn’t come to a mutual agreement until now. The general belief is that these writings couldn’t just pop-up out of nowhere, but they could only be developed inside a prosperous and vast culture. So, in order to solve the riddle of the three clay tablets the entire complex where they had been discovered, namely Turdas-Vinca complex, needs to be excavated and studied. Not only do the glyphs embedded on the tablets strongly resemble the Sumerian writings, but they’re also arranged in the same succession, meaning that a symbol coincidence is plausible, but the same arrangement (succession) beats that coincidence. A series of archaeological observations also point towards a similarity between the religious beliefs from Tartaria area and that of Djmdet-Nasra. The interpretation of the round tablet denotes that it contains brief information regarding the sacrificial ritual of a priest. 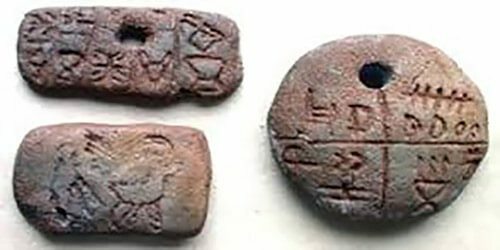 With all these enigmas still in place, researchers are debating how it was possible for the ancient dwellers of Tărtăria to write in Sumerian when at that time, the name of Sumer wasn’t even known. Russian scientist Boris Perlov believes that the Sumerians and Babylonians were only the ‘capable students,’ thus borrowing the pictographic writing from the Eastern cultures and furtherly transformed it into cuneiform writing. According to Perlov, the true inventors of writing were the Balkan people and not the Sumerians. So, is it possible that history has to look elsewhere to elucidate the riddle of the first writings? Were there other great civilizations predating those of Sumer and Egypt? And most important, are we going to ignore every piece of evidence that directly contradicts with the established norms of science?